This was my first time reading the book since I think the first time I read it in 2000 or so. 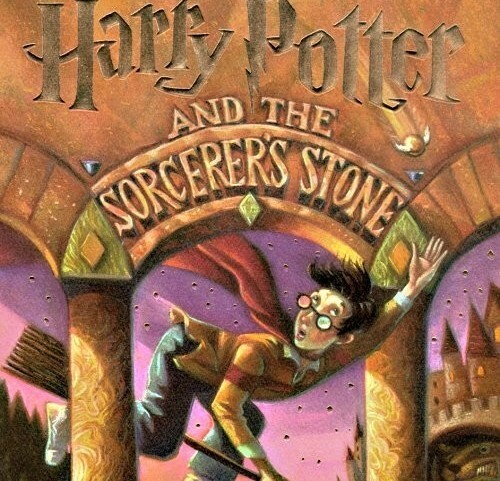 Usually when I’m reading an epic fantasy series, I reread the whole thing right before the next book comes out, but the Harry Potter books came out so quickly (and I started reading them late) that it wasn’t really necessary. I’m planning on rereading the entire series this year, so I’ll probably write a post about the whole series then. I’m really curious to see how I feel about the series while reading them in my 30s, and now that I know the entire arc. 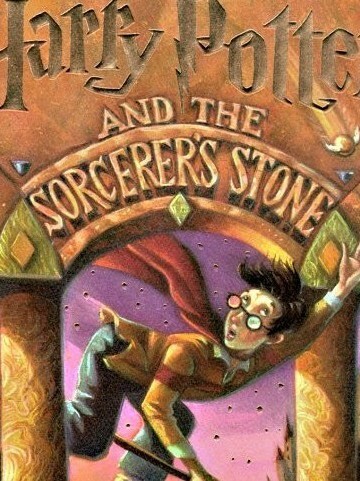 So, the first Harry Potter! Obviously, the world-building is immersive and there is such a sense of a deeper history at work here. It’s understandable that J.K. Rowling is having such a hard time leaving this universe alone; there’s so much to play with and explore. One thing I noticed in particular during this re-read was how sassy Harry is, even in the beginning before he learns about Hogwarts. He isn’t really confrontational, but he does push back against the Dursleys, and he doesn’t miss chances to sneak in sarcastic jabs against Dudley. Harry’s way of coping with the abuse he’s grown up with is to use his brain and his words to score whatever points he can. Growing up in this kind of antagonistic environment, it makes perfect sense that Harry would love Hogwarts so much, and would be so drawn to the Weasley family. At Hogwarts, there’s inter-House competition, but he’s competing as part of a team (both in Quidditch and for Gryffindor overall); with the Weasleys, he doesn’t have to compete at all. Ron is the perfect friend for him: he doesn’t hesitate for a second in standing up for Harry against Draco, because being on someone’s team is natural to him (despite his fear of being lost amongst his older, flashier siblings). The beginning of the book is interesting, in that it has a slightly different tone from the rest of the book. To me, it feels much more like a Roald Dahl novel: cartoonishly awful guardians who are “justly” punished, orphan with saintly dead parents, escape to a magical place/recognition of orphan’s special abilities, overall sense of whimsy. I honestly don’t really like the tone of that part of the book that much, and I’m glad the bulk of the book and series are a departure from that. I wonder if that was a conscious choice to invoke the feeling of books like Matilda, or if that is part of a greater British tradition in children’s books that I don’t know about. Something else I’m not sure is intentional is how the Dursleys seem, to me, more close-minded and terrified than actually evil. Not to excuse their actions, especially not their treatment of Harry and the level they spoil Dudley, but they really seem more like weak and deeply frightened people than anything else, especially in light of Petunia’s backstory, which is revealed in later books. It’s a more complex view than I initially thought. This is a textbook hero’s journey–both the series as a whole, and this individual book. I think the other books are also their own hero’s journey: I’m using the second book in my hero tale literature circles. I think this could also be part of a study of children’s literature, with its Dahl connections and its place in children’s fantasy as well as the British boarding school category of books. It’s also interesting to look at the evolution of the books in the series, and the kind of grey area between middle grade and YA they live in, especially the later books. Hear about free giveaways or new books. I'll keep your email address secure.